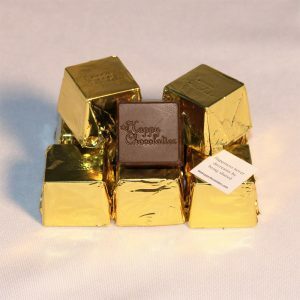 Perfect for bridal showers, baby showers, weddings and corporate events, or to include in a gift basket. 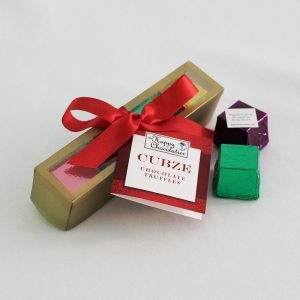 Favors include two assorted truffle Cubze in a frosted clear box. 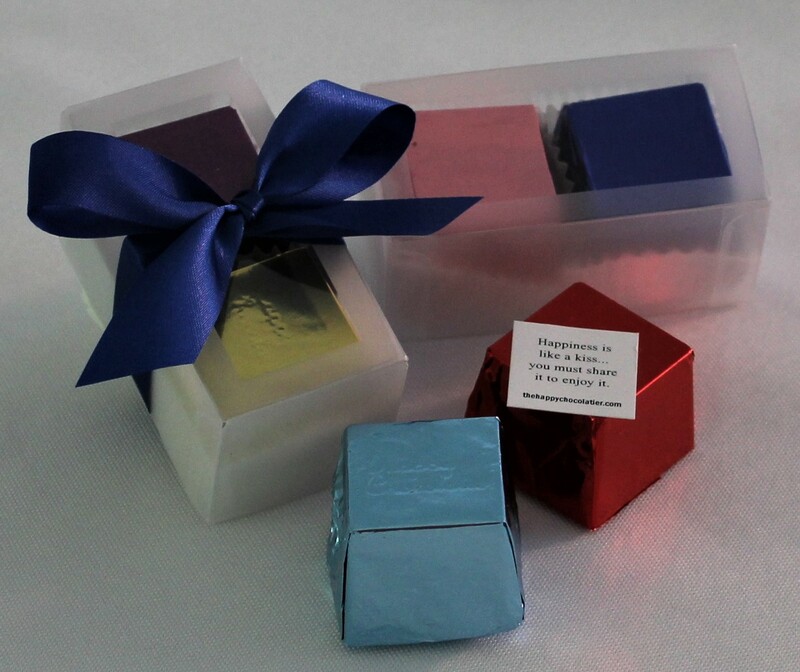 We are happy to pack up favors with your favorite flavors. 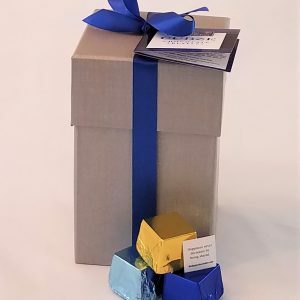 For an additional $0.25 per box we can add a bow. 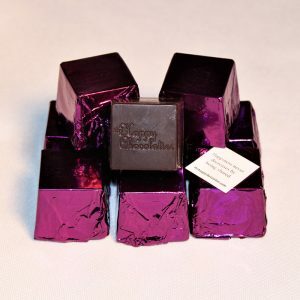 Just email us at acton@thehappychocolatier.com, or call (978) 429-8485 to place your custom order.